Nothing tastes better than homemade Italian food and making your own homemade manicotti is easier than you think. 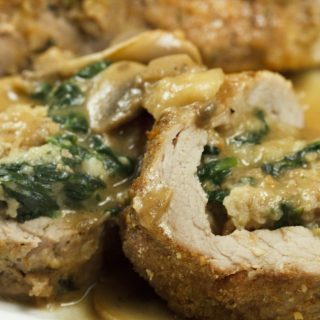 Try my recipe and impress your friends and family tonight. I do try to make most of what I use from scratch, but there are certain items that are just too good and are too much of a time saver to pass up. Now I’m not saying that I would never make my own fresh pasta sheets, but when you can get really good quality fresh pasta sheets, it’s almost a duh moment not to use them. To be honest with you, I don’t even remember why I originally bought them a few weeks ago, but there they were! There are certain items I try to always have on hand and ricotta is one of them, so luckily I had everything I needed to make my manicotti. Using the pasta sheets, they were incredibly easy to make, and so much better than even the best homemade I have bought in specialty stores. 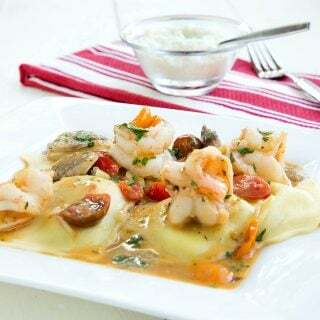 So if you haven’t tried making them, you really need to, if you feel so inclined you could make your own ravioli out of the pasta sheets too! If you’d like to try your hand at making your own marinara sauce this is the recipe I’ve been using for over thirty years. If you make it you’ll never buy premade sauce again. 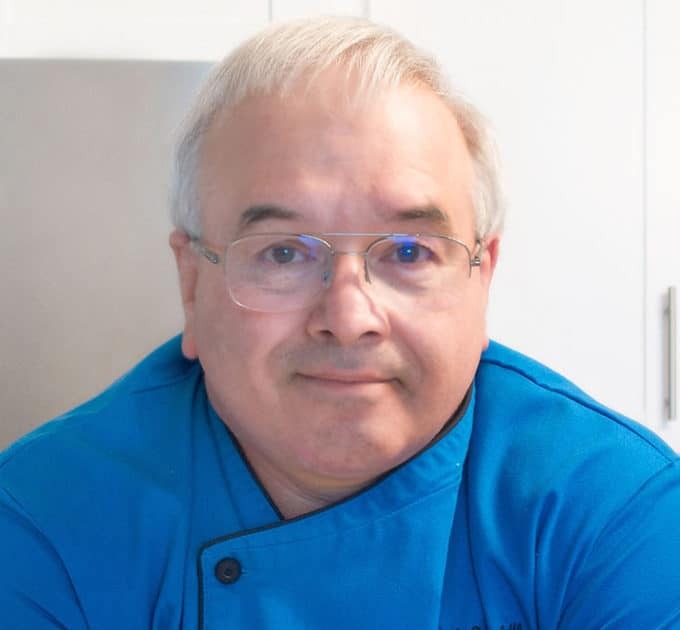 If you’ve tried my Homemade Manicotti recipe or any other recipe on askchefdennis.com please don’t forget to rate the recipe and let me know where you found it in the comments below, I love hearing from you! You can also FOLLOW ME on Instagram @chefdenniseats and @chefdennistravels, Twitter and Facebook. In a mixing bowl add the all of the ingredients for the filling (reserving half of the shredded mozzarella to use as a topping) mix well until fully blended. after you placed all the manicotti in your baking dish, cover with marinara and bake for 30 minutes. 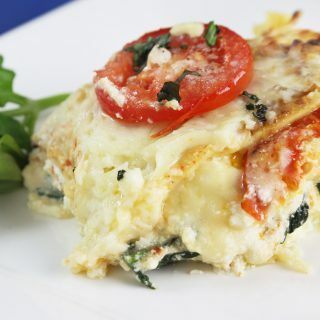 Remove from oven and top with shredded mozzarella and bake for 5 more minutes or until cheese is bubbly. Allow manicotti to rest for 5 minutes before serving so the cheese has a chance to set up well. 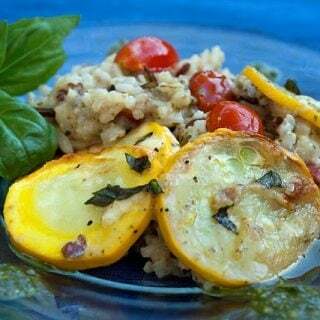 Serve with a tossed salad and garlic bread and enjoy! *if the manicotti does not seem full at each end use a spoon to finish filling the ends. The idea of little piggie snails has me laughing out loud and I can not for the life of me explain what is making me laugh to my boyfriend who is asking as I type. I love your take – and love reading these vintage recipe swaps as I come across them from other blogs too. Oh, my, oh, my! I want this on my plate VERY soon! Fabulous dish, my friend! I dont think so I have ever tried Manicotti, I am not even sure if I know this dish, but it looks and sounds like my kind of think. The cheese combination must make it a memorable dish! sure making fresh pasta sheets is a time killer but it realy makes a big difference if u use home made or bought ones, in my opinion. But even I have to manage the little time I have in my life so I end up finaly buying more then making pasta. Dude I hope you saved me some. Hoping on a plane right now. Look amazing Dennis, and love your pictures!! I love love loooooove manicotti. It was my favorite meal growing up, actually! I think this recipe makes perfect sense an an interpretation of ham snails (you stuff cheese into a shell!). 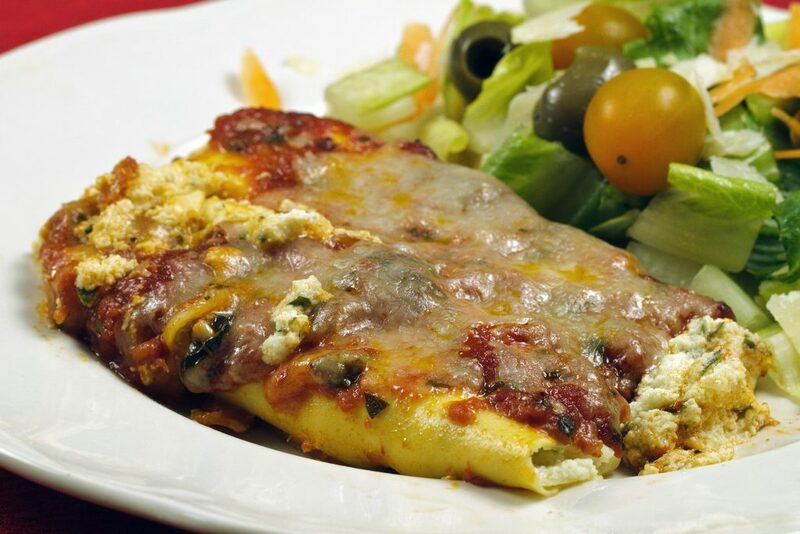 Plus, I’m really hungry as I’m looking at this post…and your manicotti looks especially wonderful. Thanks for sharing, Dennis! mmm i love manicotti, they are like tiny little lasagnas. very nice! We always make homemade manicotti in my family. It’s such a special meal and its so worth all the time to make each shell! I really love the idea of the vintage cookbook swap! I inherited a stack of old cookbooks from my grandmother in law and they are filled with classics as well as recipes that are quite terrifying. For example Squirrel Mulligan doesn’t seem like a good idea to me. Anyway, thanks for sharing the concept of the swap and the manicotti looks beautiful! It sounds like a fun swap…gotta smile at some of the vintage cookbooks! This does look amazing. I wish I had ricotta cheese on hand all the time. I will try your marinara sauce soon! 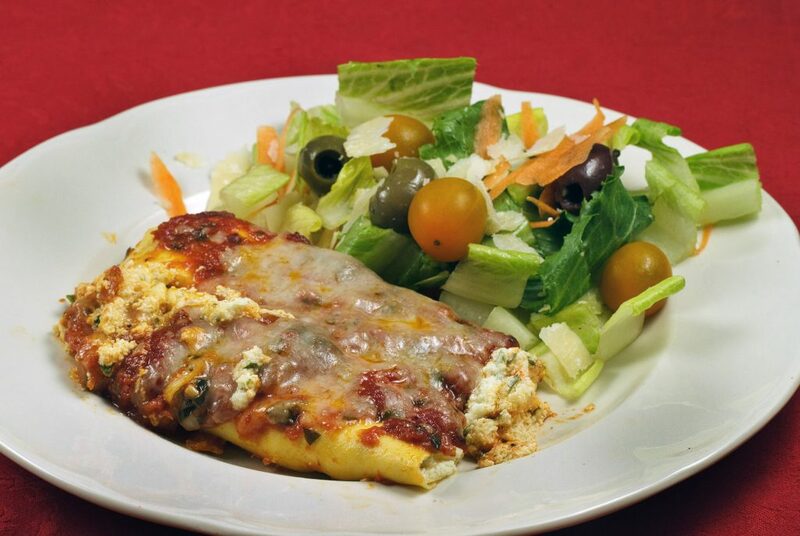 Your manicotti looks great, Chef Dennis. I just saved your sauce recipe to try this year as well. I don’t know why, but I always prefer sauces made from crushed tomatoes over any other! I’m sad to say that the only manicotti I’ve ever had was the elementary school variety. I think it’s about time I had the real thing! This looks great! Anything stuffed with cheese is a winner in my book. This looks delicious. I’ve got manicotti on my make soon list and yours looks awesome. 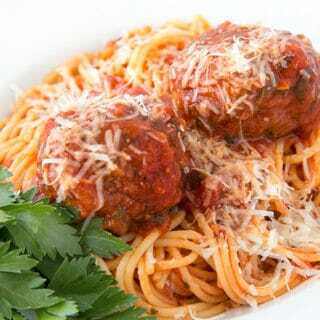 Very good recipe, something to try for dinner. Oh this homemade manicotti is just so irresistable ! I am tempted to just grab it from the screen right now (and I had a big dinner at that!). Thanks for sharing this, Chef Dennis. Glad you’re part of the Vintage Recipe Swap because you’re bringing us some pretty fantastic recipes! Have a great week! Looks fantastic! I love that folks are coming up with such original ideas! This looks soooo yummy! 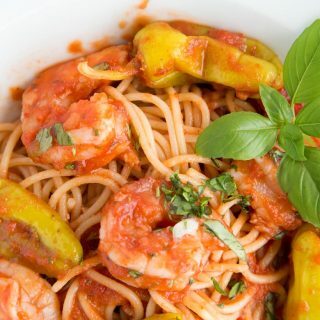 I am bookmarking this one and heading over to check out your marinara sauce recipe… Thanks for sharing!